The building of Kendalia Halle in 1903 was headed by the Nicholas Syring Musical Group. It catered to the German immigrant community, which once comprised 5 percent of Texas. KENDALIA, Texas — Some 40 miles north of San Antonio, along a lonely two-lane road, stands a bedraggled, tin-sided building that hints at Texas’ past. Kendalia Halle’s multi-tiered wooden truss was decked out in white lights as Bruce and Louetta Schwab joined about 200 others for a monthly dance. The Schwabs live east of Dallas and during their recent visit to central Texas Hill Country decided to visit the old hall, where patrons paid about $20 to hear Bobby Jordan and the Ridgecreek Band. “It’s a combination of her love to dance and my interest in German history,” said Bruce Schwab. 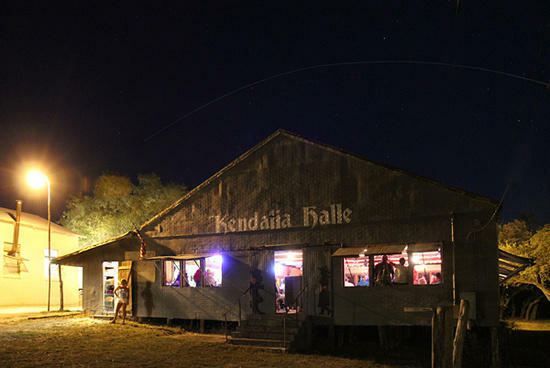 Kendalia Halle was built more than 100 years ago by German immigrants, who through the latter half of the 19th century comprised more than 5 percent of the state’s population, according to the Texas State Historical Commission. It’s one of an estimated 1,000 dance halls that sprung up around Texas in the 1800s, knitting together German, Czech, Polish and other immigrant communities. 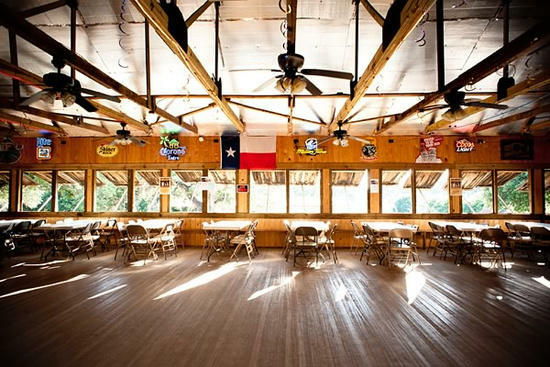 About 400 such halls still stand — many unused and decaying — but only two traditional Texas dance halls continue to operate on nearly a daily basis: Luckenbach Hall in Fredericksburg and Gruene Hall in New Braunfels. “The culture has shifted away from rural areas where most of the halls are, but what we see is that these cultures are foundational to what Texans are and what Texas is,” said Patrick Sparks, board president of Texas Dance Hall Preservation. Kendalia Halle is a great example of the architectural structure of some historical gems. It was built of red fir lumber which was shipped from Oregon by train to Boerne, and then hauled to Kendalia on horse-drawn wagons. Sparks’ group and others are working to preserve the state's remaining dance halls, in part by creating an inventory so that the most distinctive ones become candidates for the National Register of Historic Places. Such designation would enable the halls to apply for grant assistance and protections against encroaching development. “You can still go out on a Saturday night and experience an authentic dance hall like you could 100 years ago and that's something that really defines our culture here in Texas,” Sparks said. Some dance halls also are architecturally unique, according to Sparks. The Cat Spring Agricultural Society Pavilion west of Houston is a 12-sided hall built in 1902 by German immigrants that features an elaborate wooden truss rising up to a cupola. At one time there were about 40 such “round halls” in the state, Sparks said, but now just half that number exist. Carolyn Vogel is president of a nonprofit association that operates the Twin Sisters Dance Hall. It’s believed Twin Sisters, not far from Kendalia Halle, has hosted at least a monthly dance since the 1880s. It costs about $16,000 a year for volunteers to maintain the building. “On a good year we break even,” Vogel said. The popularity of the halls waned as Texas’ population shifted to the cities. In 1900, 83 percent of the Texas population lived in rural areas; 50 years later that percentage had fallen to 37 percent, and continues to decline. When it comes to Big Tex, all secrets can now be revealed. R. Eddy Snell and Karen L. Miller have had to keep a big secret for the past year – perhaps the biggest secret in the state of Texas. The State Fair of Texas hired them and their group, SRO Associates, to create the new Big Tex. SRO is a production company near San Antonio. The company has built sets and created entertainment for several theme parks across the country, including SeaWorld, Six Flags and Hershey Park. But SRO got a lot of help from San Antonio-based Texas Scenic Company to build his interior steel structure, as well as program his movements.